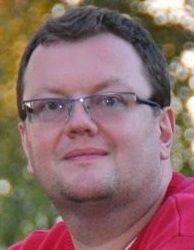 an Austrian computer scientist, researcher, since 2000 associate professor, and since 2009 full professor at University of Alberta. Martin Müller's academical career included the Graz University of Technology, Jürg Nievergelt's group at ETH Zurich, University of California, Berkeley, ETL (Electrotechnical Laboratory) at University of Tsukuba and the NTT, Atsugi, Japan. His research interests focus on game-tree search and two-player games, including computer Go, Monte-Carlo tree search, depth-first proof-number search and graph history interaction (GHI). He worked within the team of Jonathan Schaeffer on solving Checkers , and more recently with Ryan Hayward on the game of Hex. Martin Müller is co-author of two successful Go programs. The veteran program Explorer was developed along with Anders Kierulf and Ken Chen and played eight Computer Olympiads from 1989 until 2005, two times winning Gold medals. His new program Fuego  , co-authored by Markus Enzenberger, Broderick Arneson, Richard Segal, Gerald Tesauro and Arpad Rimmel (since 2010), won the Gold medal at the 14th Computer Olympia in 9x9 Go, as well the Silver medal in 19x19 Go  . He has further competed in Amazons and is member of the Wolve team in Hex. This page was last edited on 12 March 2019, at 15:04.